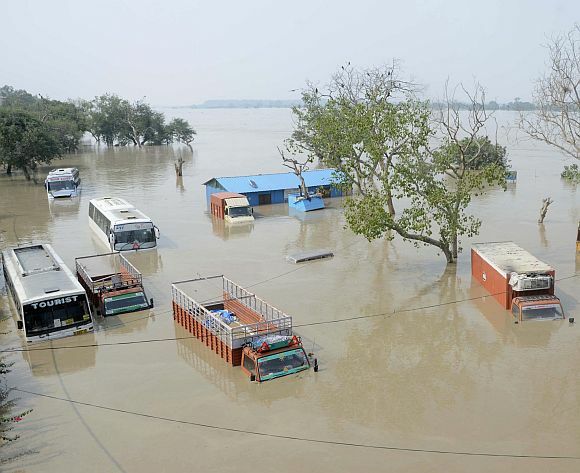 Low-lying areas along the Yamuna remained submerged for the second consecutive day though the water level in the river started receding on Thursday. The water level in the river was recorded at 206.83 metres at 2 pm, which is two metres above the danger mark, officials in the Delhi disaster management authority said. 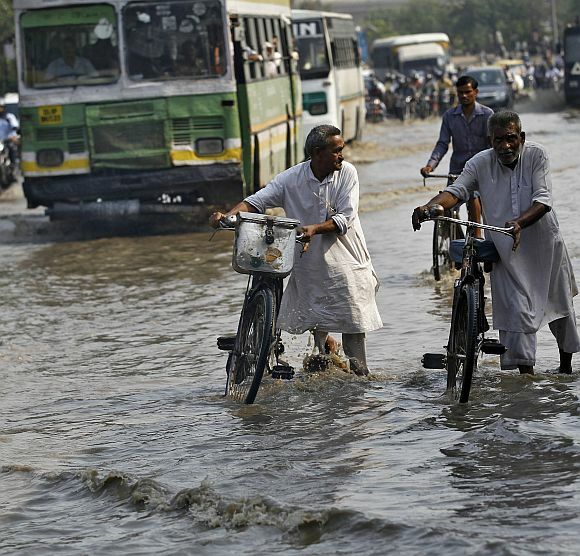 On Wednesday night, the water level had touched 207.32 metres The highest water level of 207.49 m in Yamuna was recorded in 1978 when several areas in the city had witnessed flash floods. 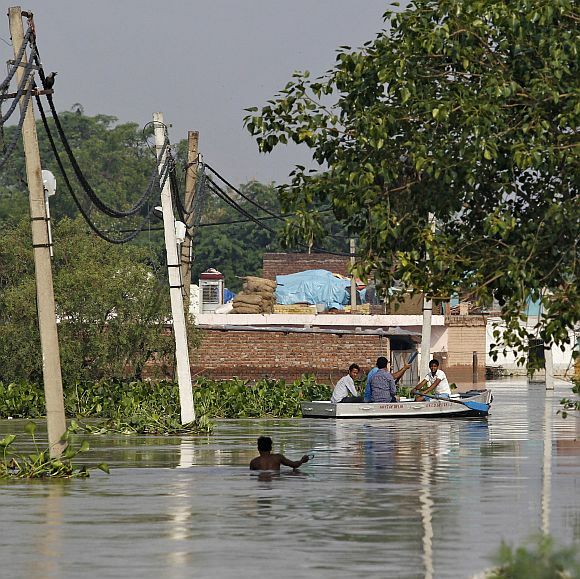 Various low-lying areas along Yamuna like Usmanpur, Yamuna Bazar, Bhajanpura, Shastri Park, Garhi Mandu, Manju ka Tila, Usmanpur Pusta and Jagatpur remained flooded on Thursday. 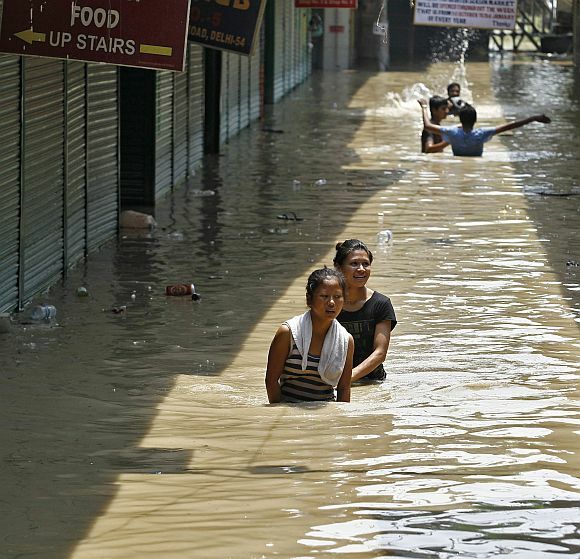 Authorities had on Wednesday evacuated over 5,000 people from vulnerable localities. Nineteen shelter camps have been set up while 500 tents were erected to provide shelter to the affected people. 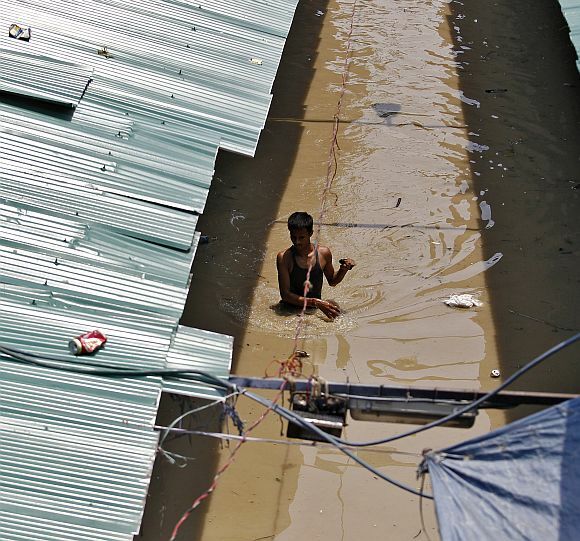 A man drowned in the swollen river while bathing near Majnu Ka Tila in north Delhi. 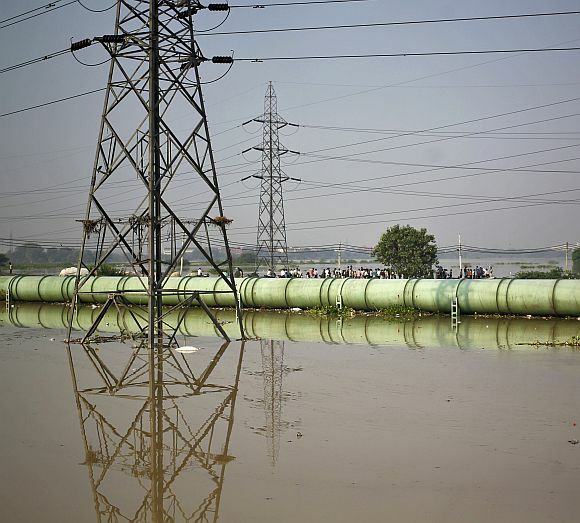 The water level in Yamuna had gone up primarily due to release of around 11 lakh cusecs of water into the river by Haryana from its Hathnikund barrage in the last four days. The officials said the water level is expected to recede further. The 145-year-old Old Yamuna Bridge connecting east Delhi with the heart of the national capital, was shut for rail and road traffic for the third consecutive day. The Delhi disaster management authority has been overseeing the rescue operation along with departments and agencies concerned. Mobile medical teams and water tanks have been pressed into service to help the affected people. In the past 40 years, the city had witnessed floods in 1967, 1971, 1975, 1976, 1978, 1988, 1995 and 1998.